Remember to take items that you would like to replace to Anna Banana’s. Anna will donate 50% of the sale of your gently used clothes to WFBR. Don’t forget to tell her you’re a member! Walk-ins welcome on Mondays from 10am – 5pm and on other days by appointment only. Check out Anna’s Facebook page for specials and new arrivals. Call ahead to schedule a time (828) 865-2000. 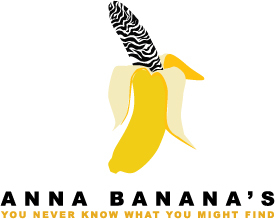 Anna Banana’s is located at 641 West King Street in downtown Boone. Copyright © 2019 Women's Fund of the Blue Ridge. All rights reserved.